I was sent 3 boxes of Dr. Lucy's Cookies to review and they are tremendously delicious. Crisp and light, they texture reminds me of certain brands of Oatmeal cookies that I have had in the past. I prefer soft, chewy cookies and although these were crispy, I didn't mind. It wasn't long before the Maple taste formed in my mouth. The Maple Bliss Cookies are wonderful and I recommend them to anyone who is a fan of Maple. My husband gets late night food/sweet cravings and I had been waiting for one of them so I could get his honest opinion of the product, before I ate them all myself. The Ginger Snap Cookies were my favorite. I swear, I could taste whole ginger pieces. I examined the cookies and couldn't find any... [I've since accepted their invisibility] I did some research and found out that the secret to the spiciness is chipotle seasoning. How clever! My husband enjoyed the maple and the ginger cookies and was very impressed with the quality of Dr. Lucy's cookies. I think it surprised him that they were gluten free and vegan and it didn't taste as though anything is lacking. These cookies are also Kosher. The Chocolate Cookies were yummy as well but they were bland in comparison to the deliciously sweet maple and spicy ginger. 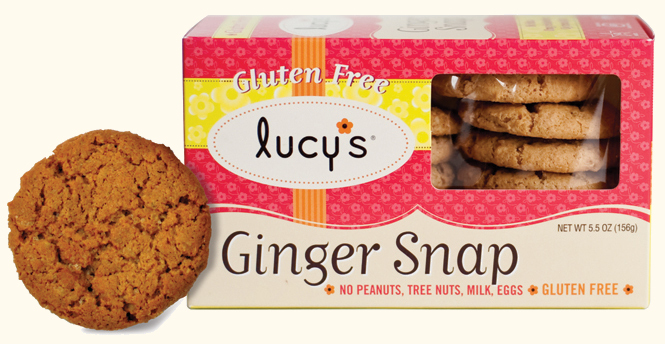 Dr Lucy's Cookies are allergy friendly and cooked in a dedicated bakery. They contain no-gmo's, no peanuts or tree nuts. You can connect with Dr Lucy on their Website, Twitter, Facebook and You Tube.